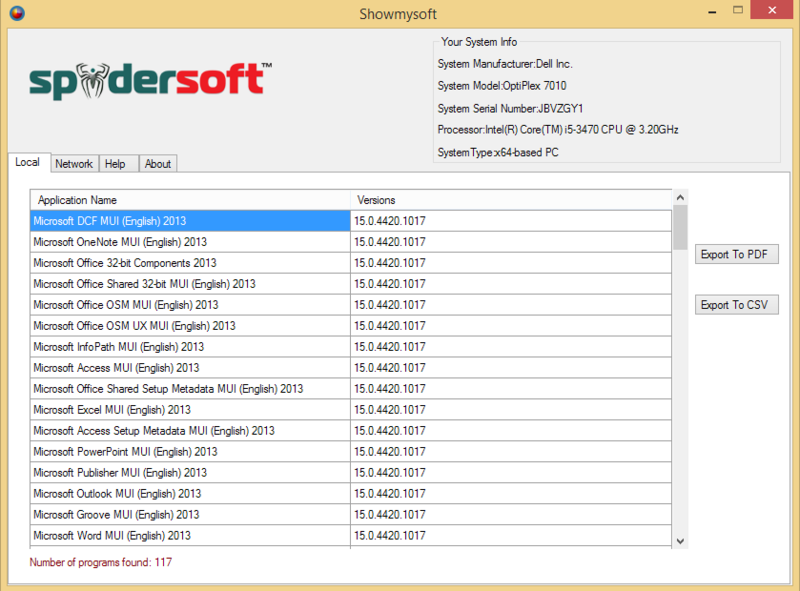 Download Showmysoft 2.0- Showmysoft will display all installed softwares on Local and Remote machines. 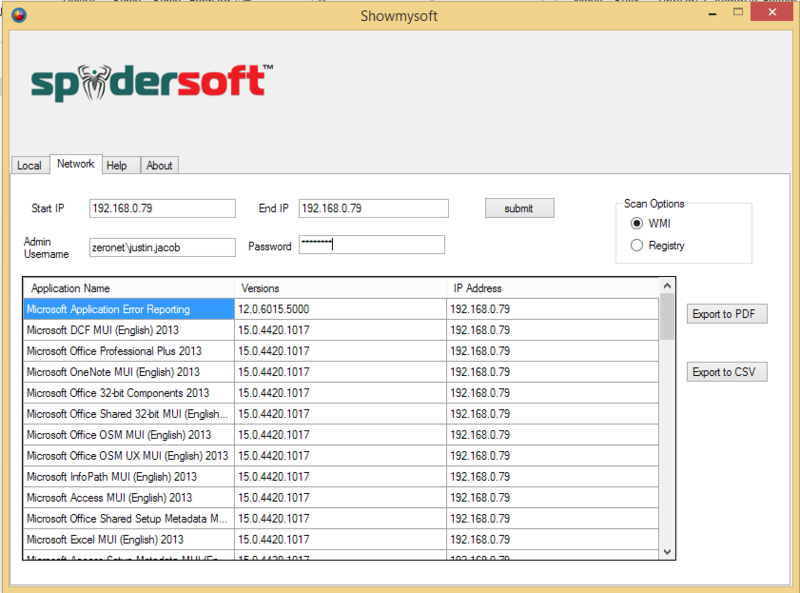 Showmysoft will display all installed softwares with versions on local and remote machines and can export to PDF or to CSV. it will show System model,manufacture,Serial number,Processor info and System type.It will scan the Remote machine to show softwares with two options WMI and Remote Registry.In WMI(Windows Management Instrumentation) the remote machine administrative username and password is required to run scan .If using remote registry 'Remote registry service' on remote machine must running and having sufficient permission is required.A detailed help is included this application.No need to install this application,freeware and ad free application. The Only system Requirement is Microsoft Dotnet Framework 4.0 . If you have a software listing Web site, and you want to add the utilities from Spidersoft into your Web site,you can download the PAD file that contains essential information about this utilities available in this Web site. Copyright (c) spidersoft.in. All rights reserved.